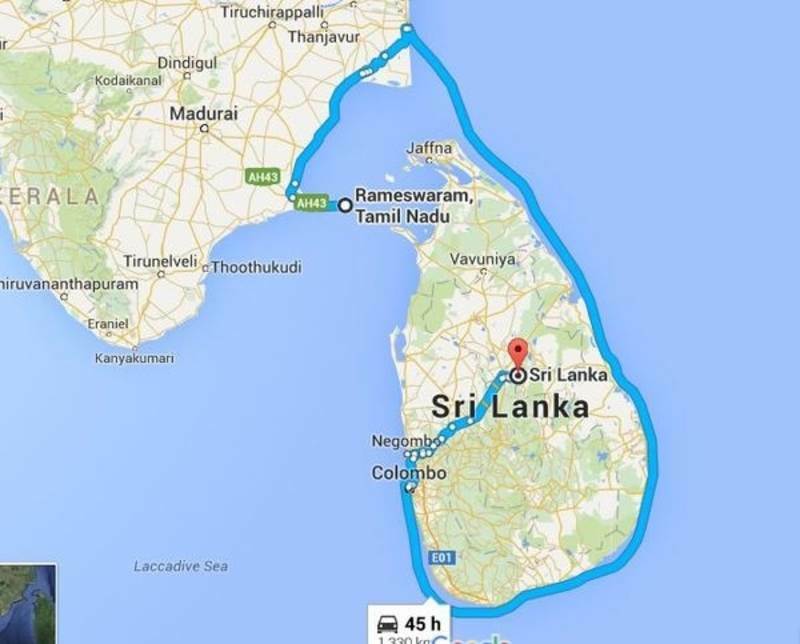 Home > roadtrip > India and Sri Lanka To Be Connected Via A Sea Bridge And Tunnel. India and Sri Lanka To Be Connected Via A Sea Bridge And Tunnel. If pop culture is to be believed, few holidays can compare to really great road trip. While India does have a couple of great long drives (i.e. road trip options), it’s nowhere near as amazing as the West, where you can road-trip across all of USA from coast to coast; or choose from spectacular European drives such as Germany’s Autobahn, Norway’s Trollstigen and Italy’s Amalfi Coast—and if you’re feeling really adventurous, you can even do a trans-country drive and do breakfast in Spain, lunch in France and dinner in Germany. Closer to home, we’re not as lucky when it comes to cross-country road trips but things look like they could be changing. Earlier this year, a road connecting India to Mandalay became operational and now it seems as though we may be connected to Sri Lanka via sea bridge and tunnel, too. Despite being neighbours, fellow SAARC members, and sharing a tumultous past, India and Sri Lanka are still incredibly distinct from one another. This corridor will allow citizens of both countries the chance to experience each other in a new way and promote greater connectivity within the SAARC region. On Wednesday, Road Transport and Highways Minister Nitin Gadkari announced that India is all set to build a sea bridge and tunnel that connects the country to neighbouring Sri Lanka—a decision that came about as a part of their efforts to promote connectivity in the South Asian region. Along with the plan, the centre has also entered a into pact with Bangladesh, Bhutan and Nepal to work towards seamless flow of traffic and passenger vehicles. “The Asian Development Bank (ADB) is ready to fully finance a bridge building project connecting Rameshwaram to Sri Lanka. The project was also discussed by Prime Minister Narendra Modi with his counterpart during the latter’s recent visit,” Gadkari said in a suo motu statement in the Lok Sabha. At present, the journey from Rameshwaram to Sri Lanka journey is a long, 45-hour drive that requires passage by ferry. 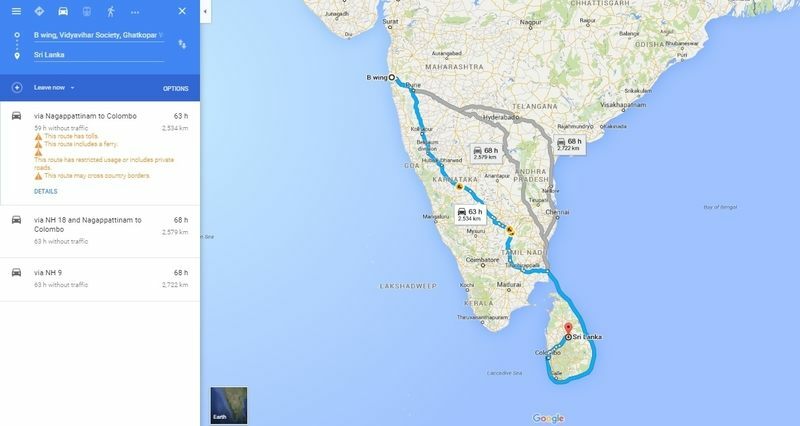 Or you can opt to take a 3.5-hour flight from Tamil Nadu to the island nation. The cost for the India-Sri Lanka connectivity project has been pegged at about Rs 24,000 crore. “The government, right from the day it assumed office, has been focussed on enhancing regional cooperation. Subsequent to Modi’s announcement of the Act East policy, India proactively engaged in building effective and credible links between South Asia and Southeast Asia through enhanced regional connectivity,” he said. In order to fulfil the need to promote seamless road transportation and social-technical collaboration for closer regional economic cooperation, the ministry has taken initiative for cross-border passenger transportation and several new bus services on many routes between India and Bangladesh, and Nepal. They plan to introduce the bus services on routes like Delhi- Kathmandu, Varanasi-Kathmandu, Kolkata-Agartala via Dhaka and Guwahati-Shillong-Dhaka. They have also proposed to include Delhi-Pokhra, Lumbini-Patna-Gaya, Siliguri-Kathmandu, Kolkata-Khulna and Imphal-Mandalay routes. While we might be sceptical about how long this project is going to take, judging by the pace of developing infrastructure in India, we’re still eagerly anticipating its completion for the vacation opportunities it will provide and the bilateral ties it will stand for.